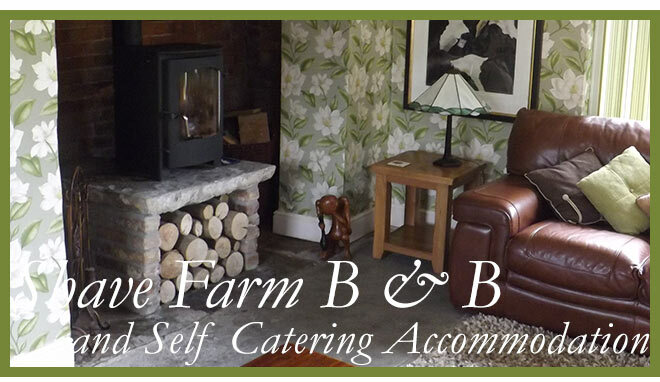 "Lovely stay, very comfortable room, smashing breakfast and very friendly service." "A great place for a weekend break!" 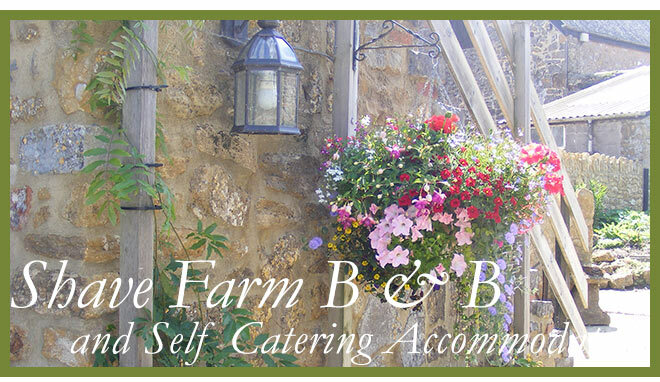 "Superb weekend, wonderful food, comfortable room. Best ever!" 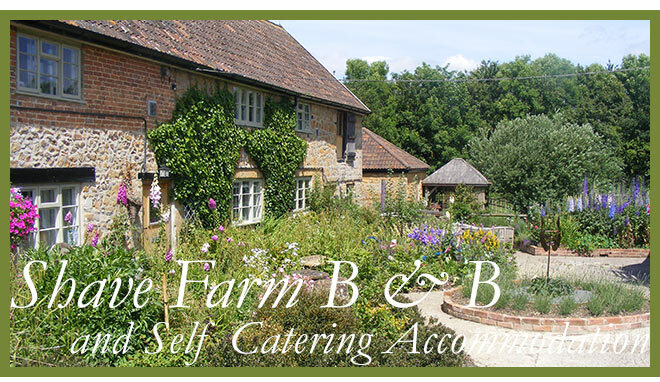 We are conveniently located just 2 minutes from the A303. 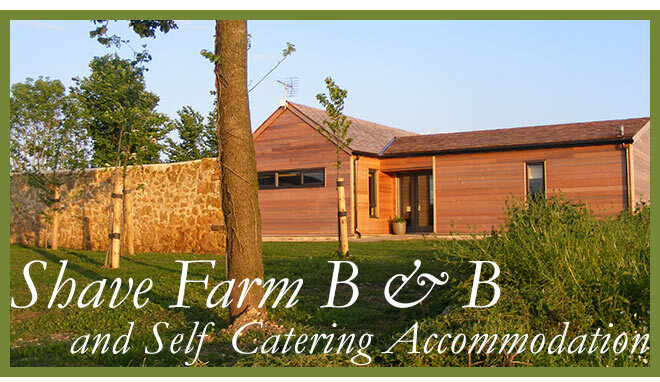 The M5 (J25) and Taunton are a mere 15 minutes away, this makes Shave Farm an ideal stopover for those heading further south, or a convenient base for exploring Somerset and the nearby Jurassic coast including Lyme Regis and Charmouth. We are a working dairy farm and invite our guests to observe milkings and even help with feeding the calves. 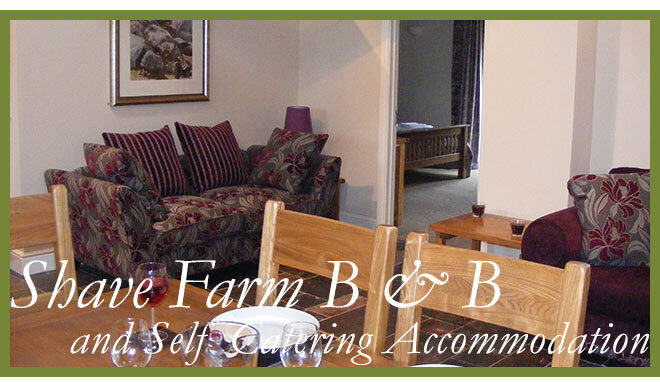 The four b&b guest rooms are made up with crisp white cotton linen, have tea and coffee making facilities and televisions. Guests have sole use of the large lounge with open fire and can relax in the mature gardens. Breakfast consists of hearty full English using only British meats, local produce and our own eggs! 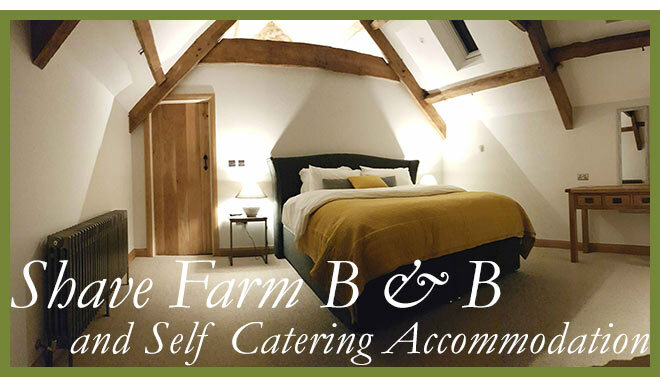 Shave Farm self catering cottage is a luxury barn conversion with a large open plan living area and two large en suite bedrooms, sleeping 5/6 people. A purpose built lodge sleeping 4 in 2 en-suite bedrooms. Open plan living, private courtyard and hot tub.